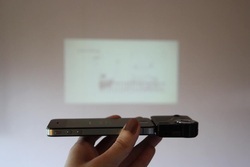 PlatformE provided international network development opportunities and business consultation advice to The Moving Image Project in 2014. A global project between United Kingdom, Japan, India and New Zealand. PlatformE will continue to support the ongoing international networks for this projects alongside future exhibition opportunities and partnerships. PlatformE helped to develop a sponsorship and fundraising strategy for use by the 2013-14 Summer venue team running Gap Filler's Pallet Pavilion. 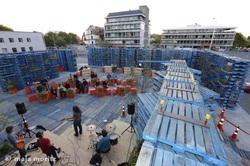 The Pallet Pavilion was a community venue in Christchurch, New Zealand that ran from late 2012 - April 2014. Via face-to-face fundraising activities on a local level, funds were raised to support the Pallet Pavilion's day-to-day running costs. 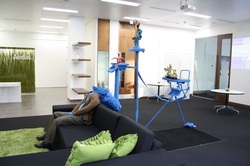 PlatformE was invited to re-launch and provide marketing and promotional services to 'three' a programme of contemporary art exhibitions in association with BPN Architects, United Kingdom. 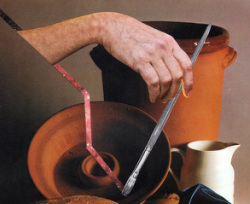 A team was established to fully manage and realise the strategy PlatformE had developed with the client. 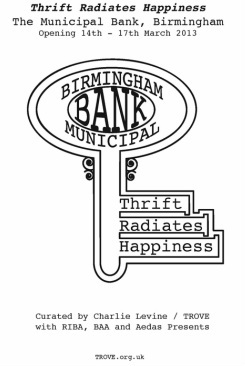 Thrift Radiates Happiness was the first contemporary arts exhibition to be held at the Municipal Bank in central Birmingham, United Kingdom. PlatformE created and implemented a multi channel marketing strategy including branding and fully project managed the 4 day exhibition and events programme. 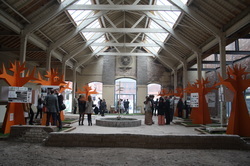 PlatformE was approached to source a venue and partners, plus project manage Birmingham Architectural Associations 2011 summer showcase at TROVE, United Kingdom. SHOWCASE was an exhibition which celebrated the then current work of local architectural practices in an exhibition designed by architecture students from Birmingham City University. The 2010 Birmingham Charity Ball was managed by PlatformE and raised funds for three local charities from across the West Midlands, United Kingdom. This project was partnered by construction firms: Rider Levett Bucknall, Aedas, Brooke Smith Planning, Savills and URS/Scott Wilson, with Willmott Dixon as principal sponsor.